Lucy and her family are skating on an outdoor rink when she sees a game of hockey going on. It looks like fun, but maybe too challenging. 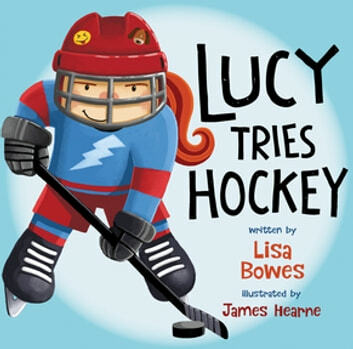 Supported by her parents, Lucy enrolls in an introductory-hockey clinic, and thanks to an encouraging instructor, she and her friends learn basic hockey skills, have fun on the ice and decide to add hockey to their list of favorite sports! The Lucy Tries Sports series encourages children to get active and participate in sports and recreation. To find out what Lucy will try next, visit www.lucytriessports.com. Also available in French (9781459820036).